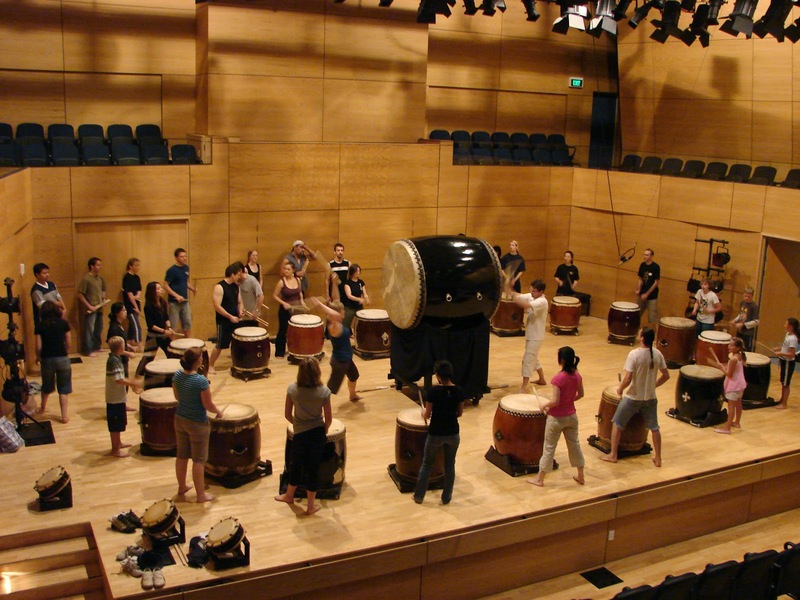 Japanese taiko drumming is known for its unique blend of team coordination and individual skill. This combination makes it a fun, dynamic, unique team-building exercise. We can bring Tamashii's unique team-building experience to your organization, or help you find a venue for the event. Indoors or outdoors are both great options. Our team-building exercise is recommended for groups of 10 to 21 people. Larger or smaller groups can be accomodated, but larger may need to be split into separate class sessions to enjoy the full experience.